Hi, everyone! It’s Heidi, from One Creative Mommy. I’m excited to be back on Pretty Providence today to share a quick and easy Father’s Day gift idea. 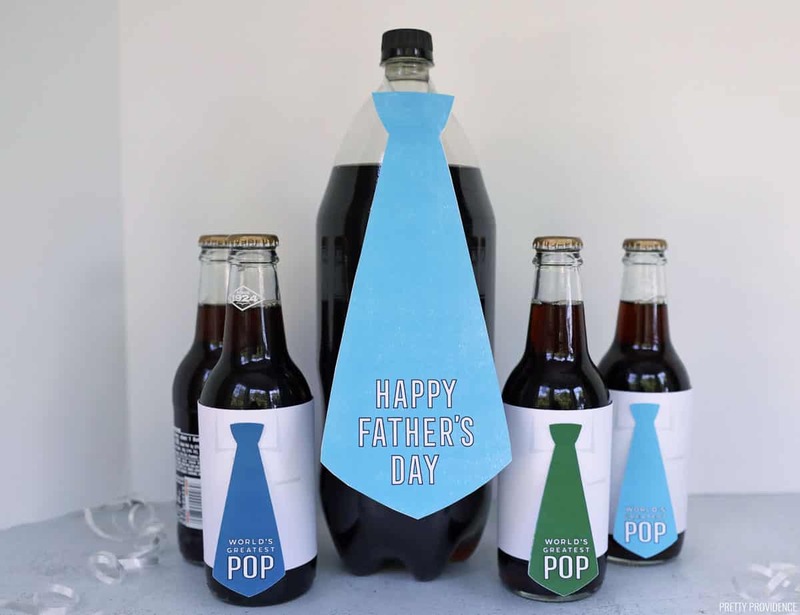 All you need is the free printable, some ribbon, and Dad’s favorite soda. It doesn’t get much easier than that! 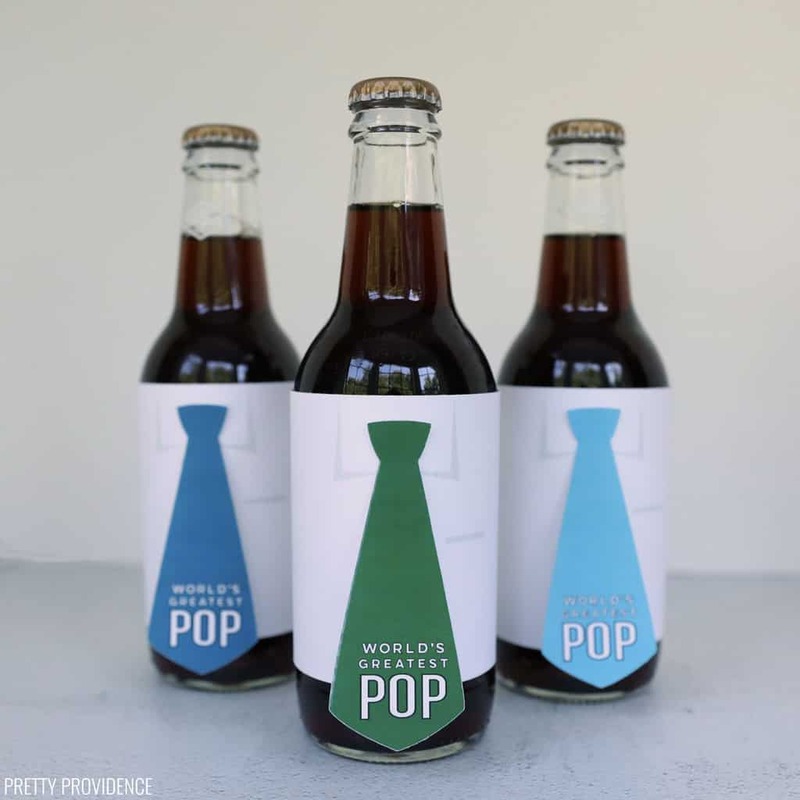 I’ve created two sizes of printables, so you can choose to give dad a six pack of soda or a large bottle of pop. Which do you say, “Soda” or “Pop?” I can’t make up my mind. 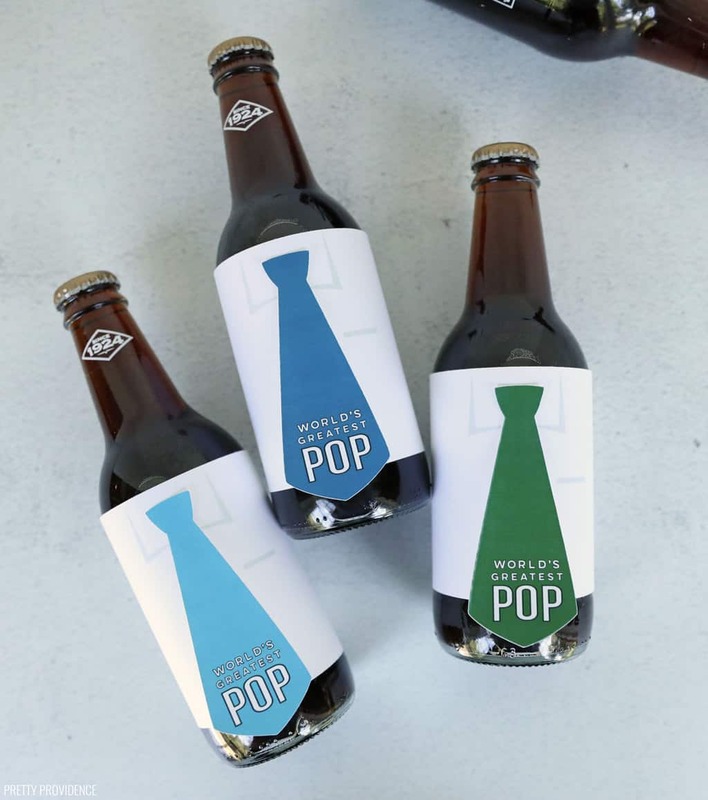 I grew up in Michigan saying “Pop,” but everywhere else I’ve lived, they say, “Soda.” Just in case you’re like me and can’t make up your mind, I’ve created a printable for each. Pick the one that fits your style, or use them both! Creating your gift is easy. Print the size neckties you prefer, cut them out, and add some ribbon so that they hang around the neck of the bottle. I used washi tape in the image below so that you could see the tape, but don’t follow that example. Washi tape is not strong enough. You’ll need regular scotch tape or packing tape to keep the neckties from slipping off of the ribbon. Click the download button below to go to my download page and get the free printables. 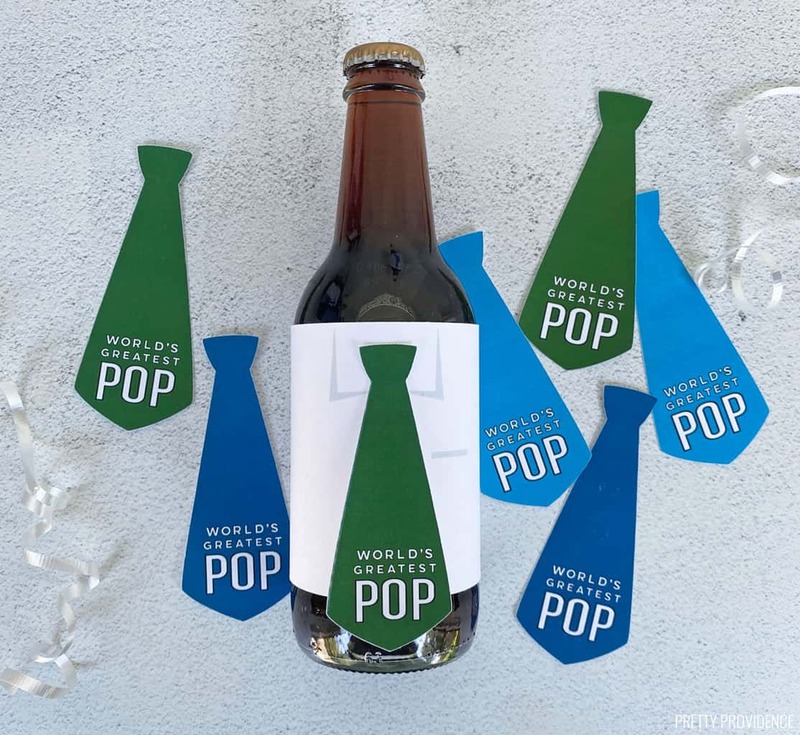 I discovered that the neckties look best on long-necked bottles, so be careful when you select your bottle. The regular 2-liters with the short neck don’t look quite as cute as the 1-liter long-necked bottles and the small bottles in my pictures. That’s it! Be sure to personalize the back of the neckties with a special message for Dad. 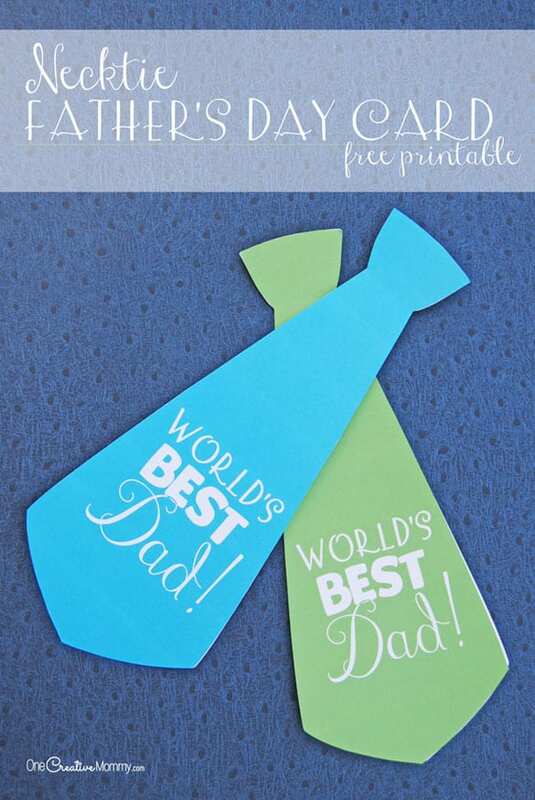 If you love the necktie look, be sure to head over to One Creative Mommy to download my printable necktie Father’s Day cards. 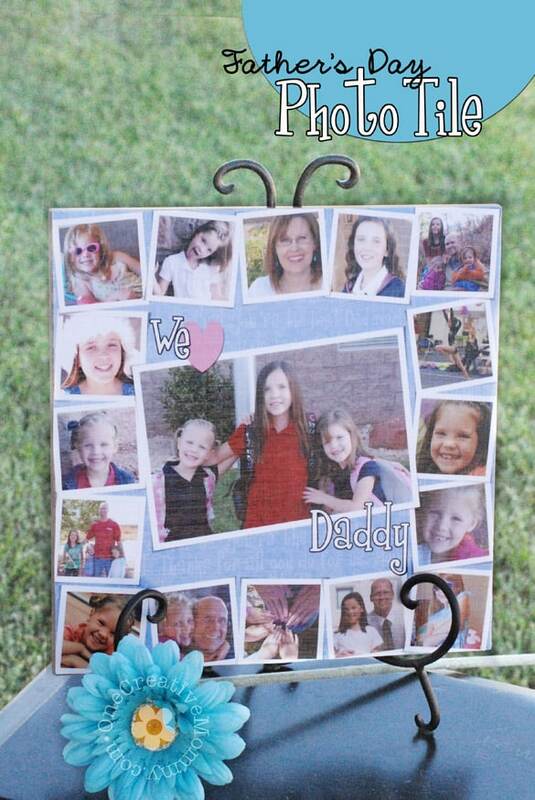 You might also like this Father’s Day photo tile idea. You can see the project here. These are so cute! My dad and husband are so hard to shop for this will be a perfect little treat for them. I know, men are so hard! I’m right there with you!